Joe Roth battles Julie Taymor over ‘All Across the Universe” - Is love all they need? Monday reports in the Hollywood trades and an extensive story in “The New York Times” made public producer Joe Roth’s tussle with filmmaker Julie Taymor (pictured left) over final cut of her Beatles-inspired musical “Across the Universe.” Based on the stories, Roth requested a shorter version after Taymor’s cut tested poorly. When Taymor refused, he produced his own edit for additional screenings. 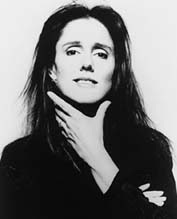 Taymor’s responses were promises of non-cooperation and a threat to remove her name from the film. With psychedelic visuals every bit as fantastic as one of Taymor’s acclaimed stage productions, “Across the Universe” is a period drama about young lovers (Jim Sturgess and Evan Rachel Wood) caught up in the 1960s anti-war movement. Already pushed back once, the film is scheduled for a September release, as long as an agreement on the film’s final version is reached. The “Times” story took Taymor’s side; portraying her as a unique artist caught in the commercial bear trap set by a schlock maven like Joe Roth. The perfect counterpoint arrived via Nikki Finke’s Deadline Hollywood column (go to it at http://www.deadlinehollywooddaily.com/why-did-you-hire-her-in-the-1st-place-details-on-taymor-vs-roth-missing-from-nyt/), which showed Taymor as an egotistical, out-of-touch artiste incapable of making sound, commercially viable judgments. What’s left unsaid is who benefits most from airing their squabble. My chips lie with Taymor, who comes to the fight with legitimate artistic acclaim and sufficient commercial clout thanks to her Broadway smash “The Lion King” and her art-house hit “Frida.” Her excuse for being difficult is that she’s fighting for art without the benefit of a contractual final cut. Roth’s fight is one of box office venues and profits, a worthy battle but one less noble in many peoples’ eyes. Whose version makes it into theaters is anyone’s guess but one thing is certain. Roth and Taymor’s public tussle looks like the year’s best Hollywood battle. Springfield Ohio Politicians to Simpsons: Drop Dead, Doughnut Heads! 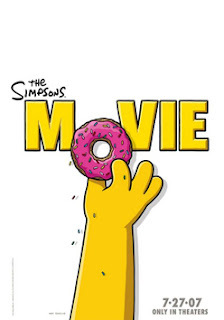 My favorite Hollywood publicity campaign of the moment is the tug-of-war orchestrated by “Simpsons” creator Matt Groening and his fellow producers of “The Simpsons Movie” for various towns named Springfield to host the film’s premiere. The clever catch is that cartoon dad Homer Simpson and his dysfunctional clan lives in a carton burg named Springfield; one with a nuclear power plant spewing waste. So choosing a town named Springfield over the typical red carpet locales of New York City and Los Angeles makes perfect sense. Of course, the politicos representing the various Springfields are expectedly out-of-touch. Speaking to Capital News Connection, Republican Congressman David Hobson, who represents Springfield, Ohio, said, “I know my daughters don’t allow their children to watch it. I’m not really excited about the Hollywood types.” Hobson’s boneheaded statement may cost him the votes of Springfield, Ohio teens. Of course, teens don’t vote, but when they do, they should remember that Hobson may have blown their chances at calling The Simpsons cartoon residents of the Buckeye State.